Following the recent fatal shark attack on JBay local Burgert van der Westhuizen at Point, it is important to remember that although tragic when they occur, shark attacks are still rare. We accept the inherent risk associated with entering the marine ecosystem every time our feet leave the sand and we swim or paddle out. 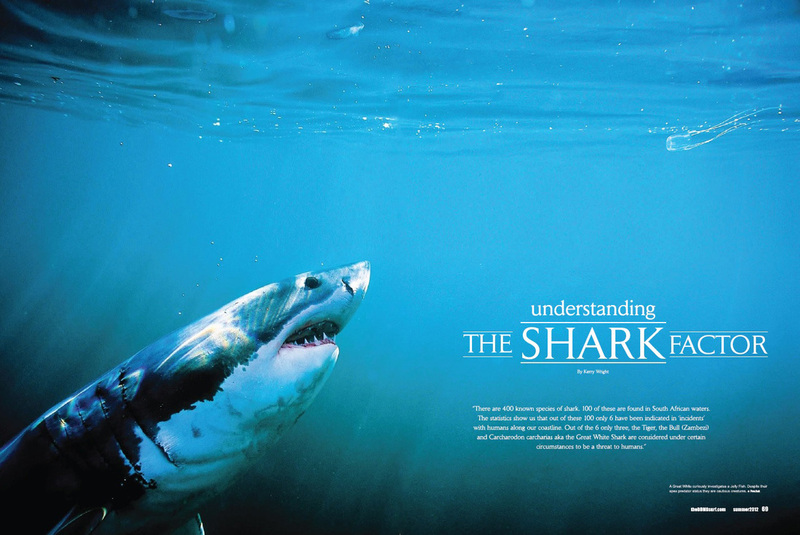 The following article takes a look at Great Whites & shark attacks in South Africa. I wrote it for the Bomb Surf magazine in Nov 2011. Since it was written in 2011 a further 5 fatal Great White attacks have occurred - 2 at Port St Johns, 1 at KoeelBaai, 1 at Plett and this recent death at JBay. It hasn’t been a great year for shark attacks on our coastline. Conversations in the line-up and the car park, particularly in the Cape, frequently turn to what’s behind the recent increase in activity. Carcharodon carcharias aka the Great White Shark - it’s the world’s ultimate ambush predator that’s been around for 400 million years. A 6m long, 2 ton, 300 toothed ocean-dwelling apex predator who doesn’t blink. It lives where we play, and that makes us nervous. We don’t want to be the next statistic. Emotions are running high, and we want answers, and rightly so. Because answers mean we can understand the risk, maybe even mitigate it; be less likely to become that statistic. Our fear is not irrational; every time we step into the ocean we enter the proverbial food-chain. So irrational fear no, but magnified, maybe. But it’s not only Whites we should be wary of; Tigers and Zambezi’s have also been implicated in attacks along our coast, particularly in the warmer waters of the Eastern Cape and KZN. Tiger Sharks here are traditionally mellow, although the warmer the water, the more active they are. Divers swim with them off Aliwal Shoal and Scottburgh surfers seeing them fairly regularly. This doesn’t mean they don’t pose a risk to surfers, they’re wild animals after all, but we aren’t part of their normal diet. Bull sharks, or Zambezi’s as we know them, frequent the shallow warm waters of all the world’s oceans. This, coupled with their unique ability to swim huge distances up freshwater rivers (hence the name Zambezi), sees them regarded as the most frequent attackers of water-users globally. Although more common in our warmer waters, they’ve been found as far west as the Breede River, when a female Bull shark was followed 30km upstream. They’re territorial and aggressive, which together with their preference for shallow waters brings them into regular contact with people. Victims are often attacked in murky water near flooded rivers – the shark’s ideal feeding environment as they scavenge on rays, fish and small sharks. Most attacks on people are thought to be investigations rather than predations. Zambezi’s are widely believed to be responsible for the recent spate of attacks in Port St John’s - 5 attacks, 4 of which were fatal, over the last 3 years. What’s followed is much speculation as to the reason behind the sudden spike in attacks. Most plausible is the exponential increase in water-users in that area, with surfing being a relatively new pursuit for local youths; although poor waste management practices, including offal being thrown into the river, have also been blamed. 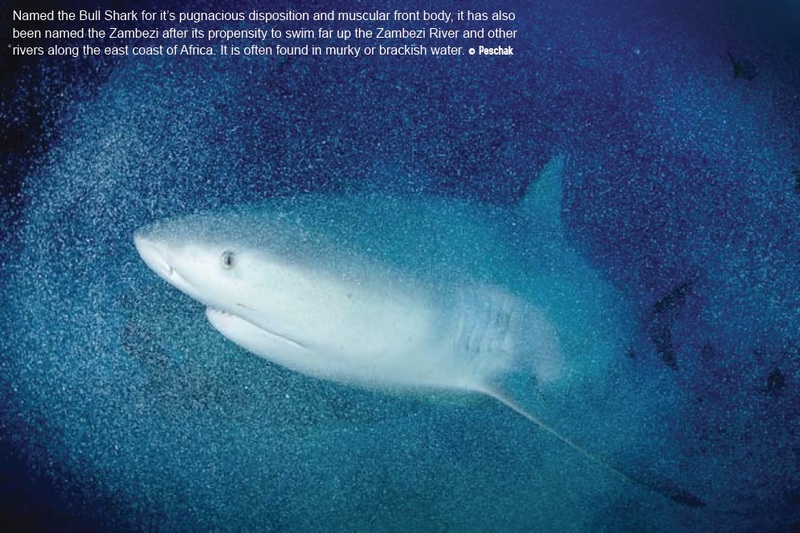 Although the 4 confirmed Zambezi attacks in SA since 1990 to date are far less than those attributed to Great Whites, there’s a distinct possibility that a large proportion of the attacks in which the species is unconfirmed due to poor water visibility may be attributable to Zambezi’s, particularly along the KwaZulu-Natal and Transkei coasts. There’s a significant disparity between “real” and “perceived” risk thanks to the emotion created by the media furore surrounding sharks. In 1990 a group of medical professionals, marine biologists & shark behaviourists formed the Global Shark Attack File (GSAF) to broaden our understanding of when and why sharks sometimes bite us; and hopefully lessen the likelihood of such accidents. Combining the GSAF & KZN Sharks Board records of confirmed Great White encounters along our entire coastline from 1990 til now, there’re a total of 63 encounters. Applying some brain melting statistical analysis to the numbers tells us we can be 95% certain that there’s no overall trend in human/great White encounters in SA over the past two decades. It’s not going up, it’s not going down. What we have is a graph of random alternating peaks and troughs, not one heading skywards as the media would have us believe. Looking at a regional level for the same time period also didn’t reveal any statistically significant sign of upward trends either. Overall there’s actually been fewer shark encounters along our coastline in the first decade of this century (2000-2009, 26 attacks) than the 1990’s (1990-1999, 31 attacks). Although an upward trend in attacks is evident when looking from the early 1900’s, both the International Shark Attack File & GSAF caution against reading too much into this apparent increase. Scientific and media coverage of shark attacks back then was far less inclusive, with technological advancements since the 1980’s having considerably improved our ability to report & record these attacks. There’s concern around an apparent increase in the number of attacks around the Greater Cape Town area. Despite no statistical evidence of an upward trend from 1990 to October 2011, there were more attacks in the 2000-2009 decade (6) than the 1990-1999 period (12). However, before we quickly point to this as evidence of increasing attacks, consider that there were 10 attacks in the 1980’s. So all we can conclude is that the number of Cape Town attacks in the first decade of the 21st century has been higher that the 90’s, but not dissimilar to the 80’s. The ups and downs in attacks from year to year, and decade to decade, are motivated by a variety of factors, be they oceanographic or meteorological conditions, population demographics (both human and shark), or social and economic conditions that influence our time spent in the ocean. 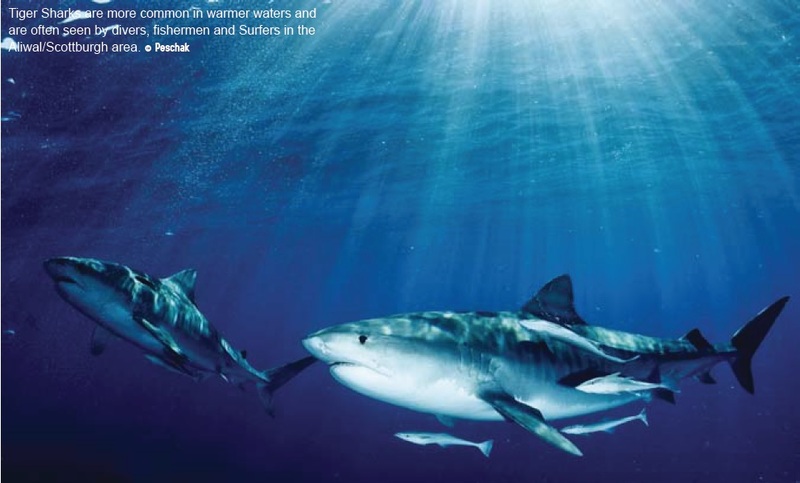 Irrespective of the absence of an upward trend in attacks over the last 22 years, White sharks have become increasingly conspicuous, particularly in the False Bay region. Anecdotal evidence from many long-term Fish Hoek residents attest to this. As surfers we don’t care if we have more chance of getting hit by lightning than being bitten by a Great White. Even if the records show there’s only an average of 3 Great White attacks per year along our coastline, and of those only 40% are on surfers, the fact is that none of us want to be one those unlucky three. Despite the stats not currently showing an increasing trend in attacks, that doesn’t mean it can’t change in future. Understandably we want to know what influence cage diving and chumming has on the White’s behaviour. What’s happening now could influence both us and future generations of surfers going forward, as sharks can live upward of 30 years. A heated debate rages over whether shark ecotourism aka shark cage-diving, may alter shark behaviour and in doing so increase the propensity for human/White shark encounters. The local shark cage diving industry began in 1991, the same year that the Great White became a protected species. 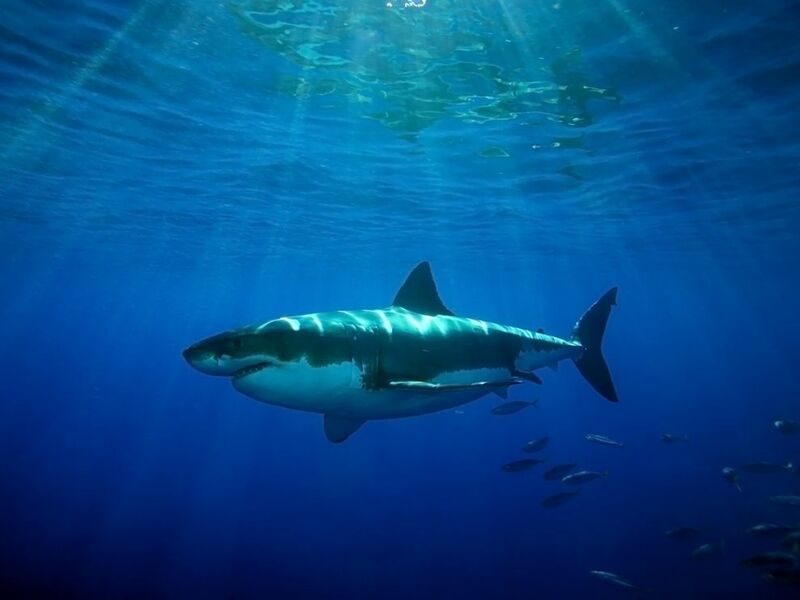 Much of the debate centres on their use of chum to attract sharks, the argument being that this is conditioning sharks to associate us with food. It seems to makes sense at first: Pavlov rings the bell, feeds the dog; dog learns bell means food. Cage-diving boat dumps chum, shark goes to boat, eats bait; shark learns boat means food. To a degree the science supports that. Some international and local studies have shown that chumming can change White shark behaviour, although a study conducted on the Whites in False Bay found no such evidence of conditioning. There was however some evidence of conditioning in 4 sharks in a Mossel Bay study, but this was considered the exception rather than the rule. Dr Matt Dicken, PE based marine biologist and shark researcher, explains “To evoke Pavlovian conditioning in Great Whites requires the equivalent of the ‘Perfect Storm’. You have to repeatedly feed the same shark every day for a prolonged period. There has to be that predictable reward. But the majority of Whites are transient in nature, often staying in an area for just 1-2 weeks before moving off and returning at a later date. It’s not often we’ll see the same individual on a number of consecutive days, so the opportunity to develop a Pavlovian response would be rare.” Matt goes on to point out that even if conditioning does occur, if it isn’t maintained by regular positive reinforcement, it will eventually be lost. A recent Australian study in the Neptune Islands showed a more noticeable effect of chumming on White shark behaviour. The researchers found that although the actual number of sharks didn’t increase, they were staying for longer periods of time and that each individual was seen more often. Care must be taken in extrapolating these results to our local situation as there’s a noticeable difference in the number of days the Neptune Island sharks were getting chummed – 278 days/year compared to the 50-80 days/year in False Bay by the 3 tour operators. However, further research might be needed at Gansbaai, as there 8 operators chum the waters for nearly 300 days a year. Despite studies that show chumming can change sharks behaviour, there is no evidence to suggest that these changes are harmful to the sharks (or us!) or whether they lead to behaviour changes at other locations. So does shark cage diving increase our risk of attack? As a study on South Africa’s White Shark cage-diving industry points out: “Would a White shark conditioned to associate a 40ft chumming boat and cage have this conditioned reflex stimulated by the detection of a 6ft swimmer or board rider?” It’s a valid point. They refer to “Rearrangement Gradients”, which basically predicts that the bigger the difference from the conditioned stimuli (in this case the cage diving boat), the less the stimulation of the conditioned response (i.e. attempted feeding). In other words, the conditioned 'feeding anticipation' response of the shark is less likely to be evoked by anything that doesn’t closely resemble the cage diving boat. So the less it resembles the boat, the less likelihood of association. Personally, I don’t think we look much like a boat. When the shark is drawn to the cage diving boat, it’s seeing one big picture. That’s big boat, plus smaller cage, plus even smaller people inside the cage. Its association is with the entire picture, not just one small piece of it, meaning us. So when cruising the coast and spotting a human; one with no boat, no cage and no chum – basically no resemblance to the cage-diving situation, it’s unlikely to deconstruct the entire chumming/boat/cage/human vision, see the minor element of that picture (us), and go “Ah, food!”. It just doesn’t stack up. We don’t smell much like a chumming boat either, which is the primary sensory stimulus that entices the shark to the cage-diving boat to start with. Sharks smell better than they see. So they smell the chum first, and then head over to check out the boat. 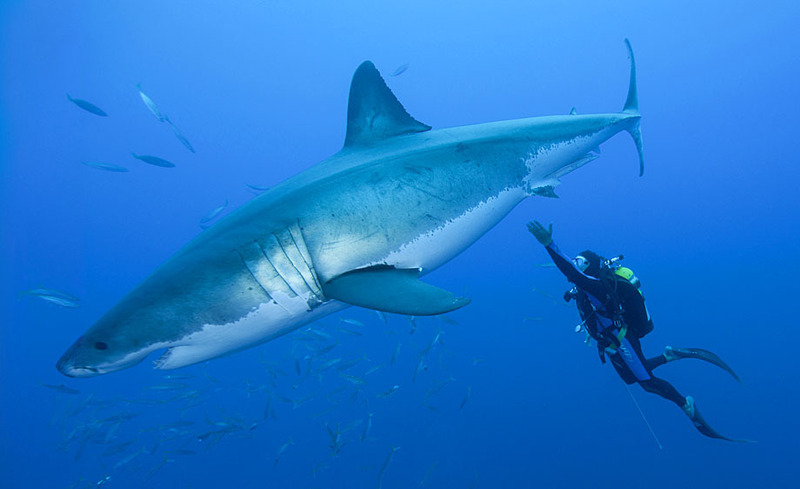 Thus a similarity in both smell and appearance is required for a conditioned shark to associate a new object (a surfer for instance) with a cage-diving boat and have its anticipated feeding response evoked. But that doesn’t necessarily let cage-diving off the hook. If it keeps sharks in the area for longer periods, and this area’s close to where we surf, it’s not implausible that our exposure to these sharks could increase, and with that the potential for an investigative encounter. So an indirect relationship between cage-diving and increasing human/shark encounters can’t be crossed of the list yet. Thus the location of the cage-diving operations could be a key element to consider in this debate. Although chumming doesn’t draw more sharks into the area, it does create a focal point and makes them hang around longer. And if surf spots are within close proximity, would it be unreasonable to assume that our paths might cross more often? Safety aside, if chumming causes sharks behaviour to change this could cascade down the entire ecosystem by changing it’s interaction with other species, with potentially detrimental consequences. Understanding the impacts of such change is complex because each shark is only a transient resident to these locations, and only exposed to chumming whilst there. How to reduce the impact of cage-diving on both sharks and the ecosystem whilst still maintaining a viable industry that contributes significantly to the local economy is a challenge, as ethical cage-diving does provide a platform for Great White shark education, research and conservation that shouldn’t be discounted. There’s too much money involved for a ban on cage-diving to ever succeed. But it can be done in a more responsible manner; so what’s the sustainable way forward? Surfers for Responsible Cage Diving are working on a White Paper with the purpose of amending a few key lines of Legislation to improve how responsibly Cage Dive operations are run. It centres on the appointment of an independent Environmental Compliance Officer (ECO) for each boat, who will ensure that regulations are followed. Reducing the level of chumming, and the number of days per year its permissible may help reduce the likelihood of conditioning responses. Less exposure, less stimuli, less regularly means a lower chance of conditioning. There’s also anecdotal evidence of sharks being attracted by low frequency sound, so a non-chum alternative may be possible. Understanding White shark demographics & distribution is integral to establishing our potential risk profile. Knowing when and where they’re most likely to occur gives us a better chance of minimising an encounter. White sharks aren’t home bodies, they’re travellers. Swimming the oceanic equivalent of the N2 from Cape Town to Richard’s Bay and beyond, even making transcontinental journeys to Australia and back. There appears to be key places where they spend most of their time, and then they move rapidly between these areas once they decide to change location. These “hotspots” are likely related to feeding, resting, mating and socialising. A key hotspot for Great Whites is seal colonies. Seal, Dyer and Bird Islands are the McDonald Drive-throughs of the oceanic Highway, with seal-burgers topping the menu. Bigger seal colonies generally mean an up-size in the shark population within the vicinity. It’s no coincidence that many of the White shark attacks happen within the general area of seal colonies. More sharks in an area means a higher chance of bumping into one. Adult sharks frequent the colonies between May-November, just as seal pups start making their first forays into the sea. Which is probably why there’s an increase in White shark attacks over the winter months; pity it’s at the same time as our best surf. Juveniles are commonly encountered in inshore areas, often on open coast beaches, where over the summer food is plentiful. Their teeth have to mature before they can upgrade from eating fish to include seal pups in their diet. Variables such as season, water temperature & clarity, barometric pressure and wind direction could affect where and when they move, rest, hunt or patrol. The only way to evaluate these parameters is though tagging and monitoring. The more tags and listening stations, the more we’ll know. Dr Matt Dicken spearheads a ground-breaking shark research project in Algoa Bay. Beach manager Fernando Cain wants to establish a “shark-risk” profile for the bay’s popular beaches. With funding from the NMBM he enlisted Matt to establish 20 acoustic listening stations along a 40km stretch of coast. Matt plans to tag 20 great Whites, starting in December. Monitoring these sharks over time should give us unique insight into their behaviour and where they travel. False Bay listening stations are currently out for upgrading, being deployed early next year together with new one’s along the Atlantic seaboard. Tagging projects aren’t simple. Data might only be collected once or twice a year, and takes time to process. Alison Kock is currently doing her PhD on the results obtained from the 78 sharks she’s tagged since 2004 in the Cape Town area. It might make the Sunday Times best seller list when it comes out, we’re all so keen to know the results! Ultimately, if surfers want specific information within specific timeframes, the best way to do this is to fund our own tagging projects. Simply put, if we’re paying, the researchers work for us, and the results come according to our timelines. Maybe we need to put our money where our mouth is and stop expecting everyone else to assume responsibility for our safety, and get involved ourselves. No. 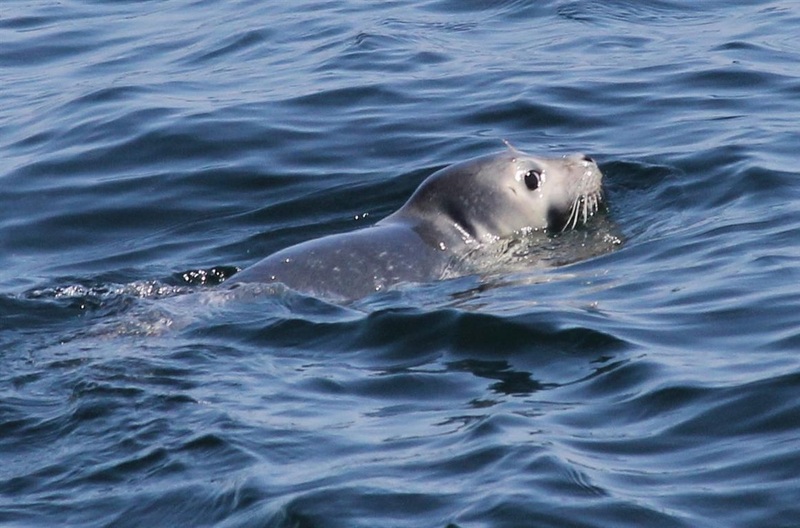 The high-caloric, energy-rich blubber of seal pups gives sharks far more bang for their buck. We didn’t evolve alongside the shark as ocean dwellers, so don’t slot into their natural food chain at all. If they wanted to eat us there’d be far more than 63 human/White shark encounters over 2 decades, so it’s safe to say they don’t hunt us as natural prey. So why do we get bitten then? Turns out sharks are exceedingly curious, but in the absence of hands to pick something up and give it the once over, they rely on their mouths instead. This might explain why over 70% of Great White bites on humans are bite-and-release only. Whites are generally surface feeders, so surfers occupy the same zone as their usual prey. Much of the time the shark just wants to see what we are, and on discovering we don’t taste particularly nice, spits us out and moves on. Unfortunately having numerous large arteries close to the surface means we don’t respond well to having razor sharp teeth embedded into us. That’s not to say that there aren’t instances where victims get eaten, but these’re the exception not the rule, with the majority of White Shark attacks on humans motivated by investigation rather than predation. How do we avoid being “investigated”? White sharks olfactory bulbs comprise 18% of their total brain mass. It has a nose of note. Cruising along in a relatively “smell-free” environment and suddenly picking up a whiff of something, means it’s going to head over and investigate. Obviously sitting in the line-up whilst you’re bleeding isn’t a good idea. How about peeing? It’s not an ‘attractive’ substance like blood; but if it’s the only smell around the sharks going to pull past for a look. And on the very odd occasion follow that up with a ‘feel’. Sharks are wired to pick up the smallest electrical fields, like the signal given off by a struggling fish. This isn’t good news if you have a bit of ‘Magnetic attraction’ yourself. It was one of the possible reasons given for the double Great White attack on surfer Shannon Ainslie at Nahoon in 2000. Maybe something to it, as he was bumped again 2 years later, and then 18 months after that was next to Joseph Krone when he got bitten at Jbay. Hopefully the attraction works just as well on the ladies! What about the “yum-yum-yellow” theory? A 1960’s Navy study led everyone to believe that sharks like yellow. However, recent research shows that Whites may be colour-blind, seeing the world in monochrome; with contrast not colour driving their visual acuity. Nonetheless, yellow is still a highly contrasting colour! And leave the bling on the beach; shimmery bangles and chains could glint like fish scales. But mostly it’s about when and where we surf. If it’s a high-traffic shark area, chances are we might get sussed out. This is where tagging studies are invaluable, giving us a “profile” of shark behaviour at our beaches. Entering the ocean always carries certain inherent risks – including the possibility of being attacked by a Great White. Ultimately we need to be responsible for our own safety, making calculated decisions on where and when to surf. The only way to guarantee shark-free surfing is to stick to the wave-pools. So what’s going on in Cape Town? Despite no statistical evidence of an upward trend in attacks within the Cape Town region over the last 22 years, local surfers are nonetheless reporting a far higher incidence of shark sightings. And no-one really knows why. There’s a myriad of theories as to what might be responsible. Everything from climate change, to estuary outflows, more seals meaning more food, more sharks because they’re now a protected species, changes in shark distribution patterns within False Bay, chumming, more people in the water for longer periods; most likely it’s a combination of a variety of factors, some we may not yet have considered. We have to be careful about picking out a single factor in isolation and trying to ascribe a behaviour change to just that one variable. Science is seldom so simple. We like to connect the dots, but we can’t force them to connect. 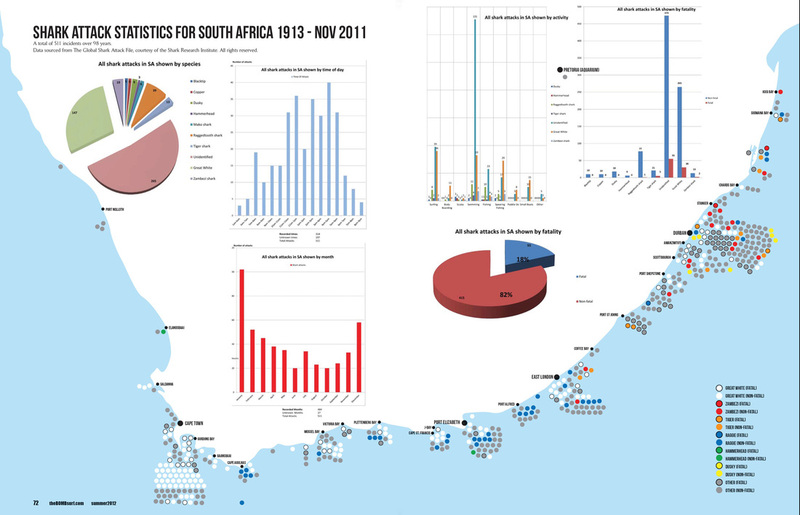 There were more attacks around Cape Town in the decade before the White became a protected species than the decade after. Although there could be more Great Whites since they became protected, no-one can accurately pinpoint numbers because tagging only started around the same time. So there isn’t much in the way of a before/after comparison. In a nutshell, Whites inhabit a particular area at a particular time because the area itself fulfils a specific requirement, it’s just our bad luck when this happens to coincide with a popular bathing beach or surf spot. We don’t know much about Great Whites, and until the gaps in the research are filled, we won’t be any closer to finding answers. The explosion of social media and heightened interconnectedness means news of shark sightings extend far beyond our immediate circle of friends. But don’t just update your status, do something more purposeful too. Drop a mail about what you saw to your local shark researcher. The more information they have, the better they can start making sense of the puzzle. As concerned water-users it’s up to us to contribute to that fact-finding process. It’s unlikely that researchers have any underlying bias in what they report.. They’re scientists, and scientists tend to base their opinions on what facts are available. As new facts come to light, so their opinions will evolve accordingly. Sharks are integral cogs in our marine ecosystem and certainly deserve our respect and protection. Pull them out of the marine equation and it could collapse like the proverbial pack of cards, with consequences far beyond what we can comprehend. Modern marine coastal management stresses an ecosystem based approach to the solution. It’s not us or them, it’s us and them. We just have to work out how to keep the balance right for both parties. Happy sharks and happy humans would indeed be a happy ending. But until we work out a practical way to achieve that, the sharks remain the gatekeepers of our coastline. Expanding our knowledge through on-going research is key. Sponsor a shark tag. While an overnight solution seems unlikely you may be able to assist your grandchildren mitigate their risk of an encounter through a better understanding of shark behaviour while at the same time helping to preserve the marine ecology for generations to come. Shark attacks do happen, but they’re rare. The ocean itself is much more dangerous than any shark.